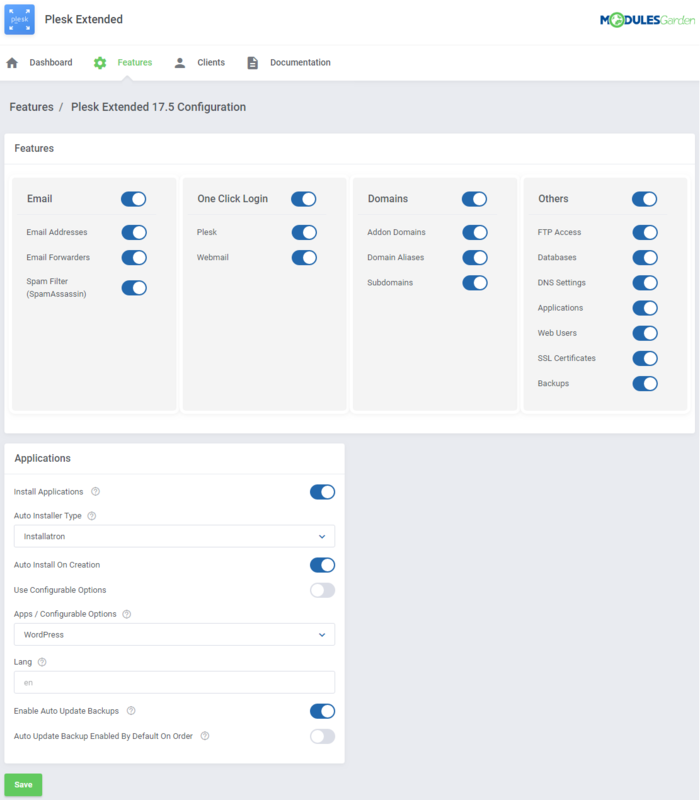 Plesk Extended For WHMCS will let you automate the provisioning of web hosting accounts and supply your clients with a whole range of tools for their proficient handling at the same time. 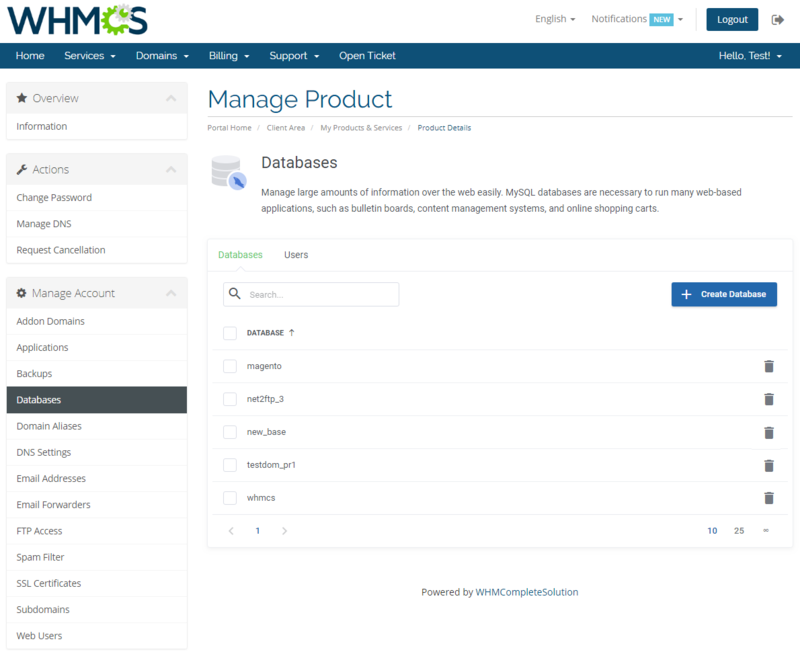 Thanks to it, the complete mechanism of accounts management is fully optimized and takes place nowhere else but inside your system. 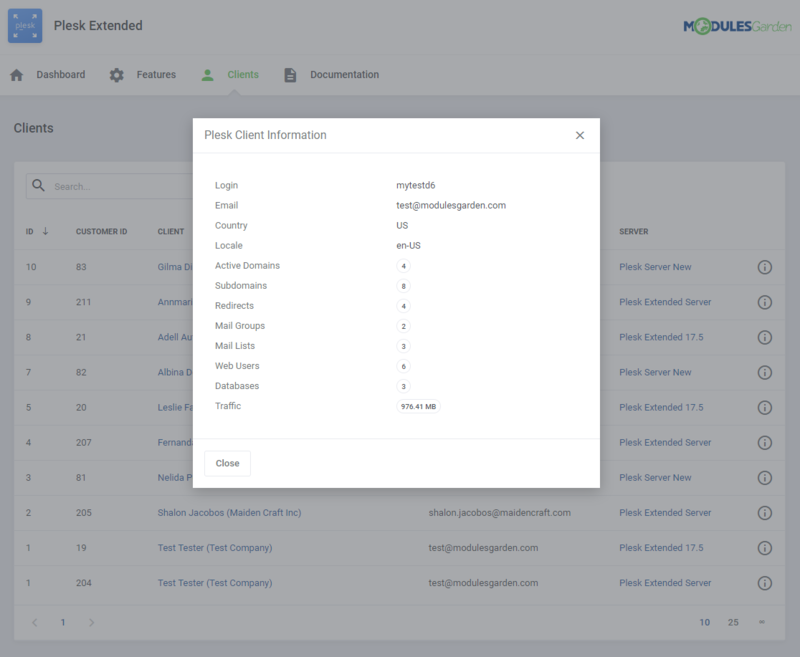 With this very module, your clients will be allowed to remotely manage their FTP accounts, backups, databases, mailboxes, spam filters, DNS settings and plenty other aspects. 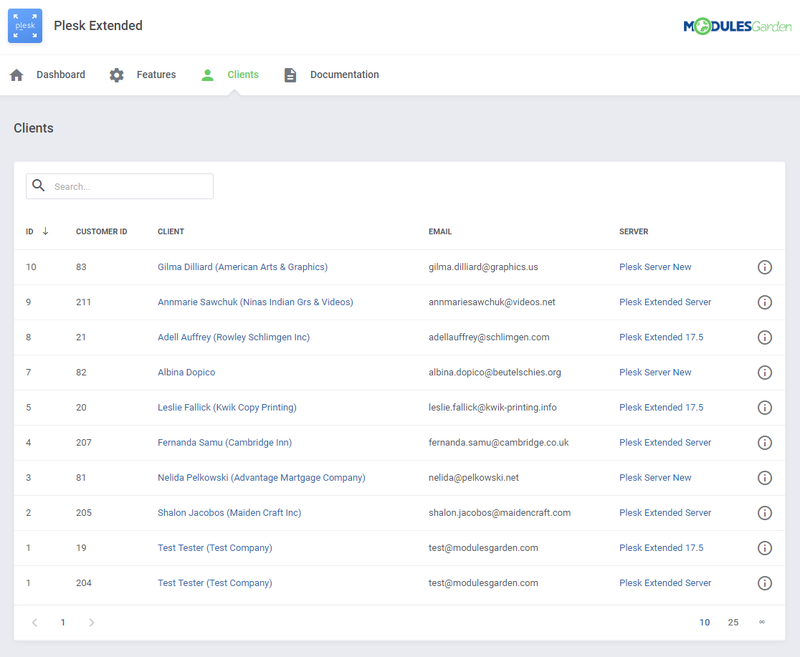 The bulk of their chores will be streamlined to the max thanks to the mass actions feature. 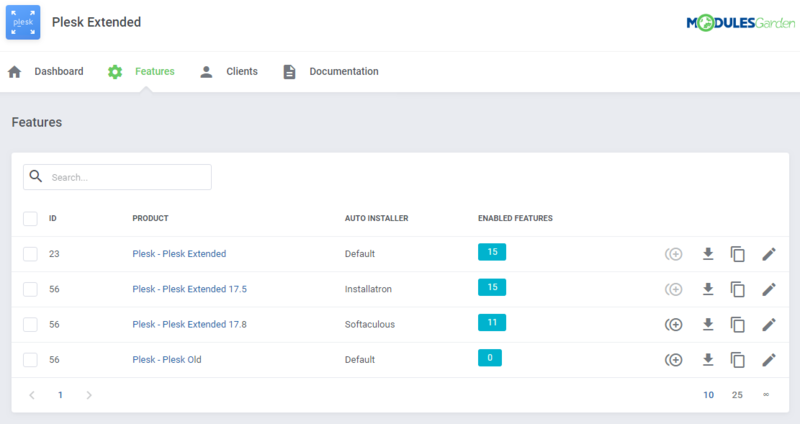 Customers will be also offered the choice between Softaculous, Installatron and Plesk Application Installer to perform the installation of all favorite applications in just a few clicks. 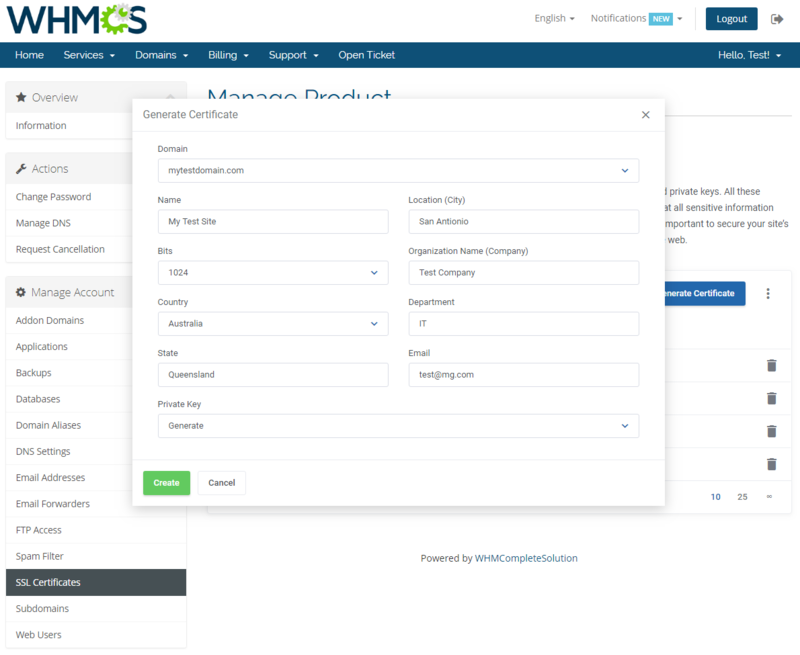 Moreover, you will be free to either select the applications ready for your clients' use instantly after the account creation or let them have their pick during the ordering process. 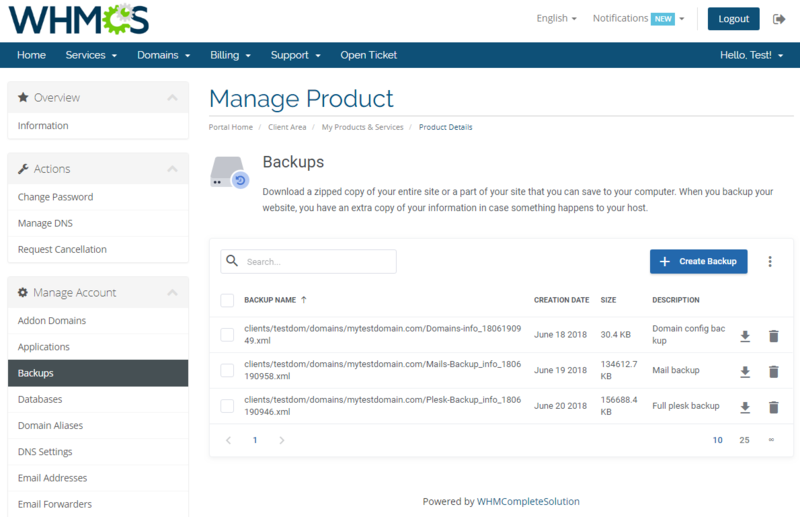 Leaving your website will be no longer a must for your customers to handle the applications as well as their backups! 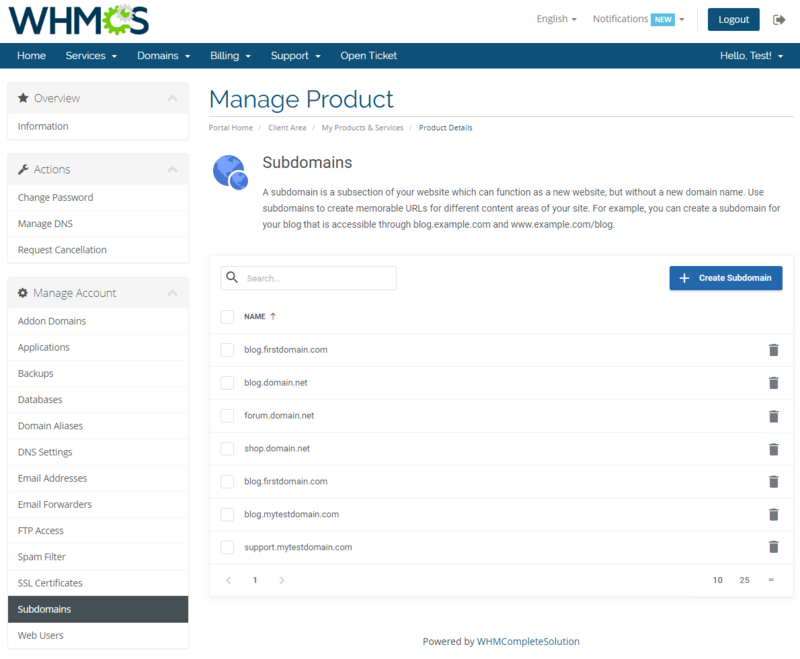 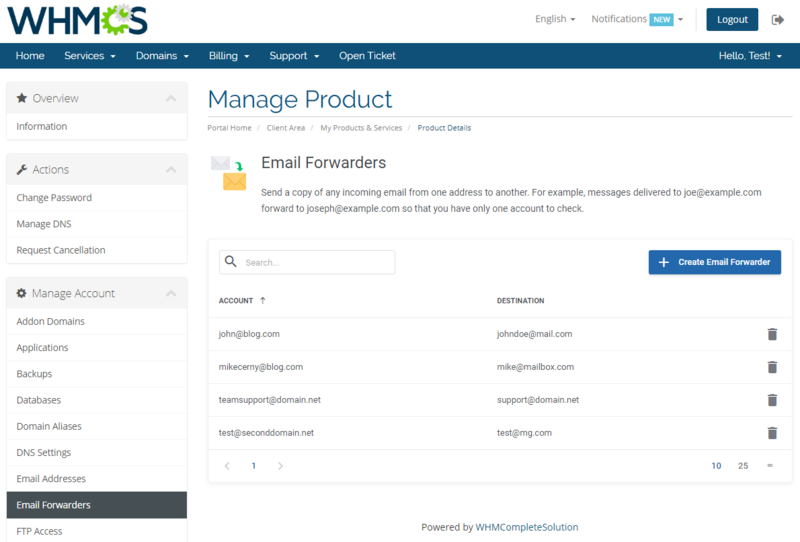 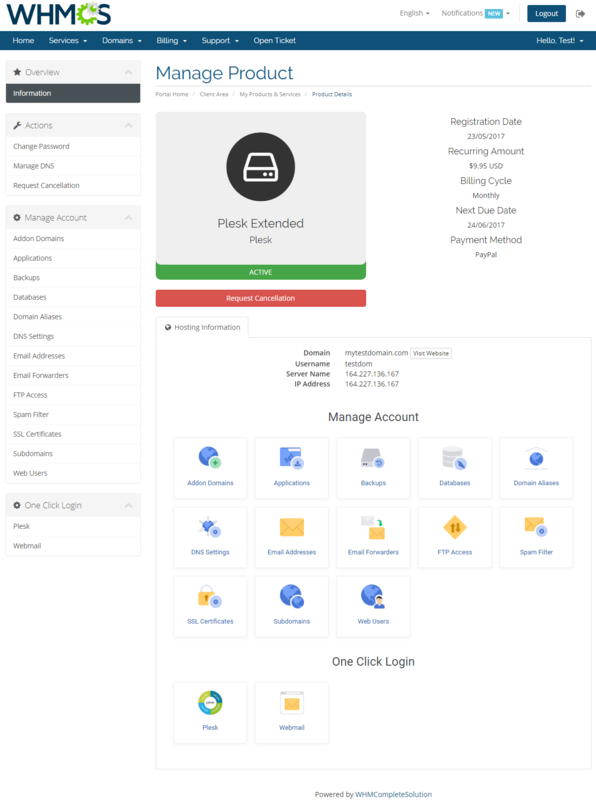 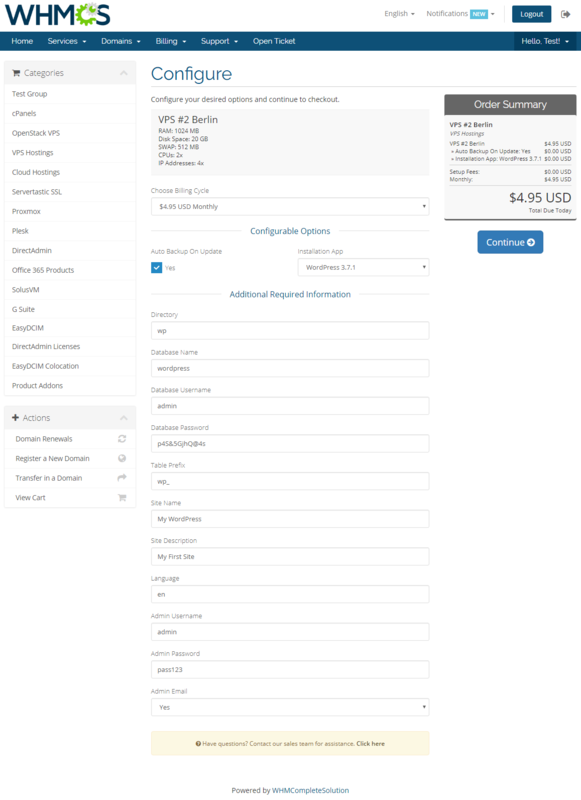 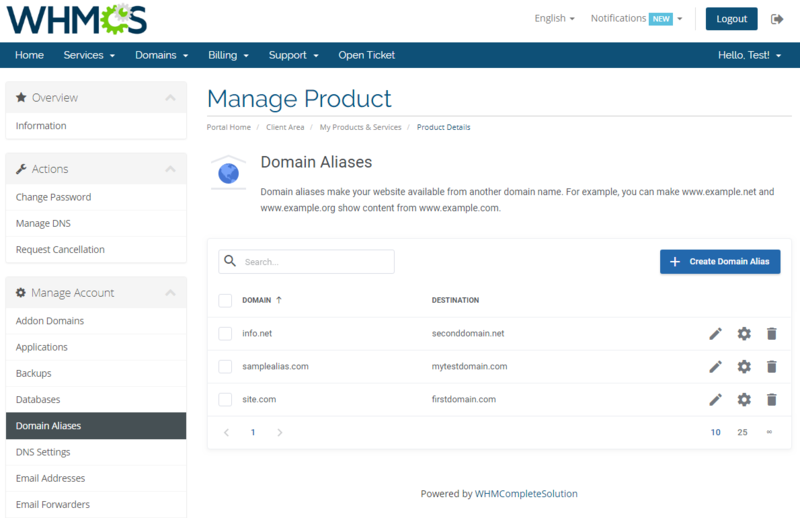 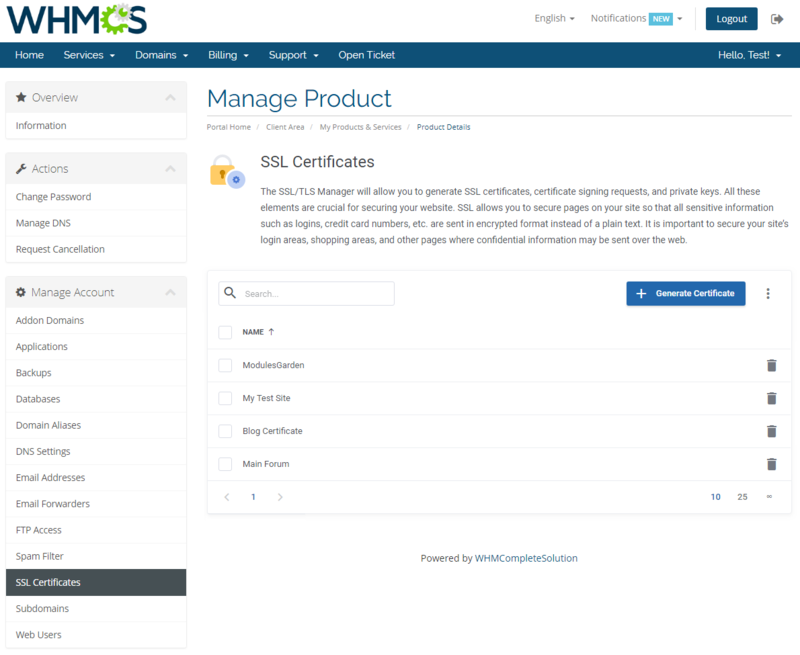 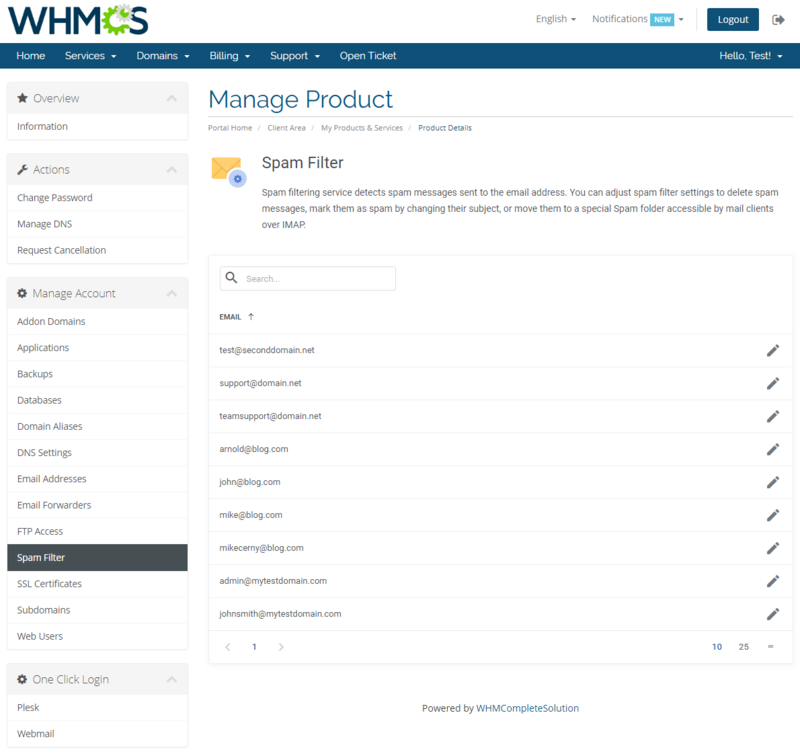 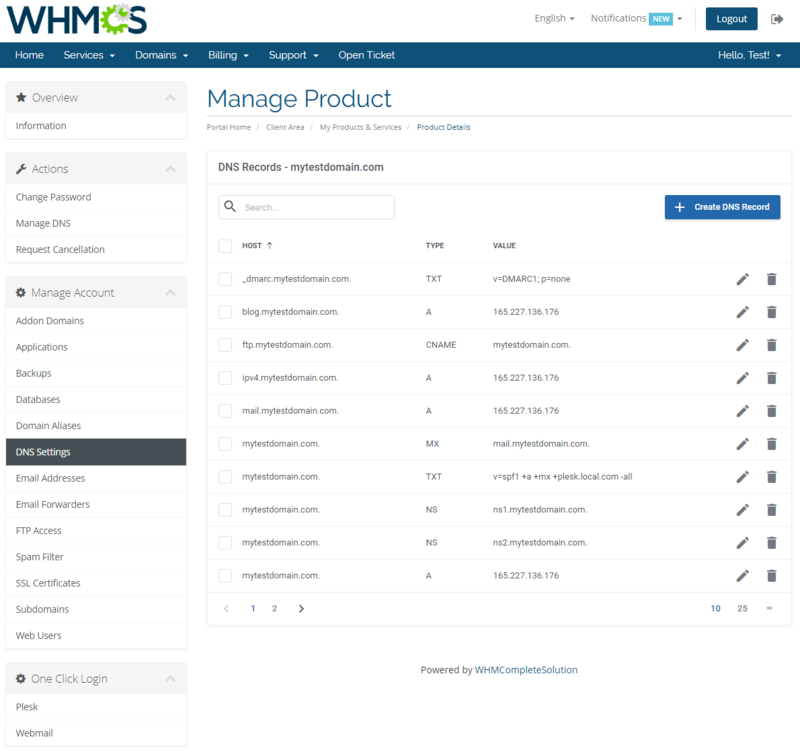 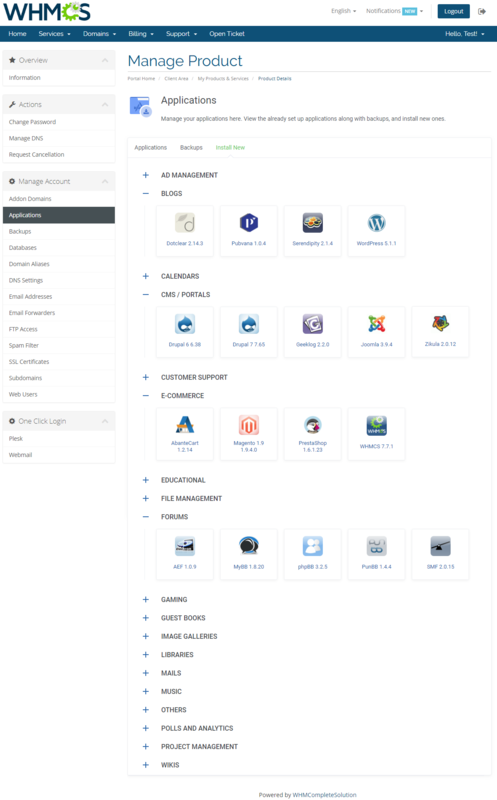 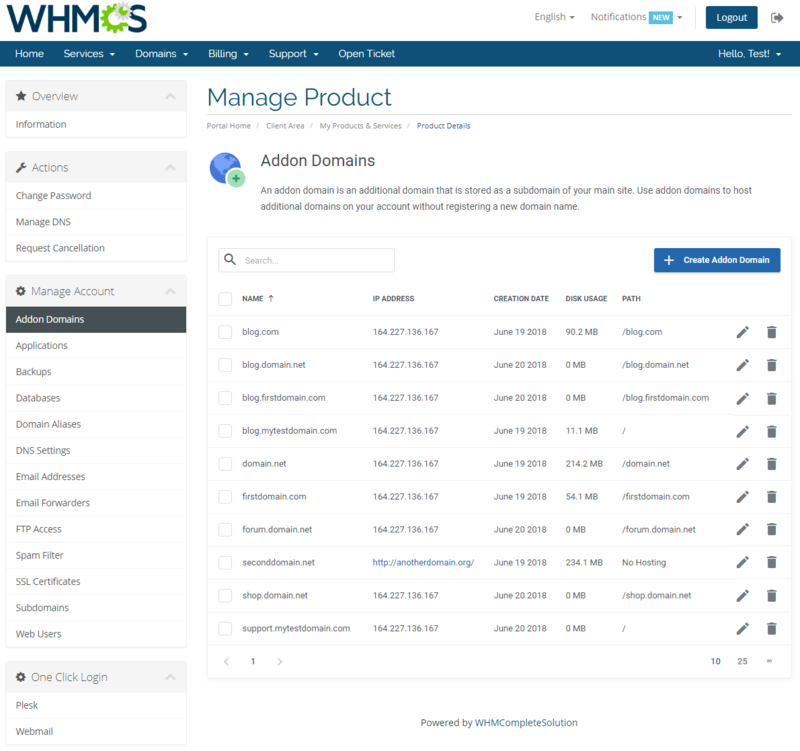 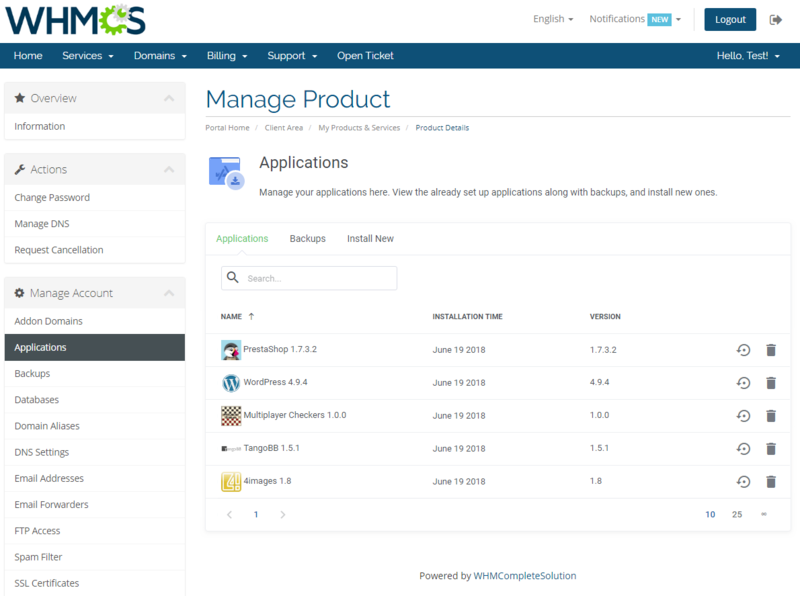 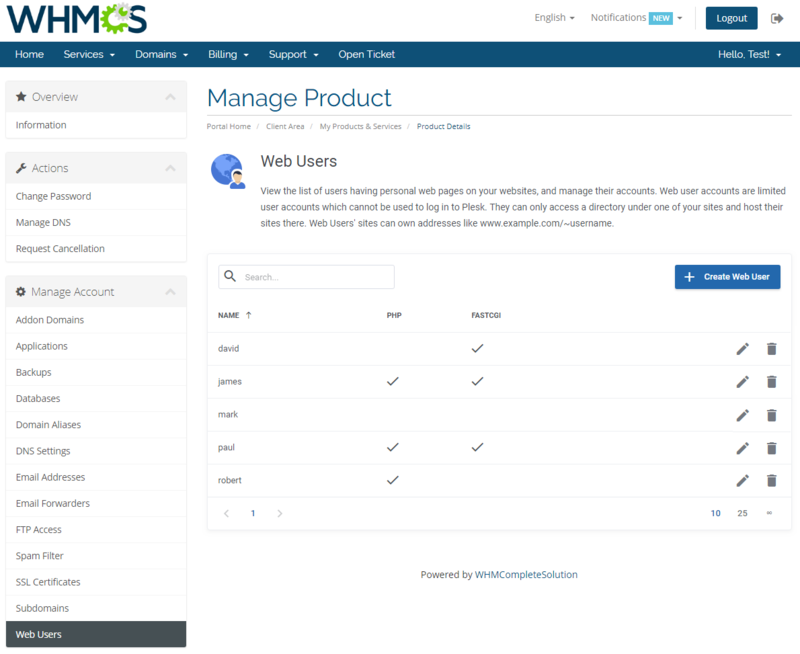 As an administrator, you will be able to set up and customize ready to sell products directly in your WHMCS. 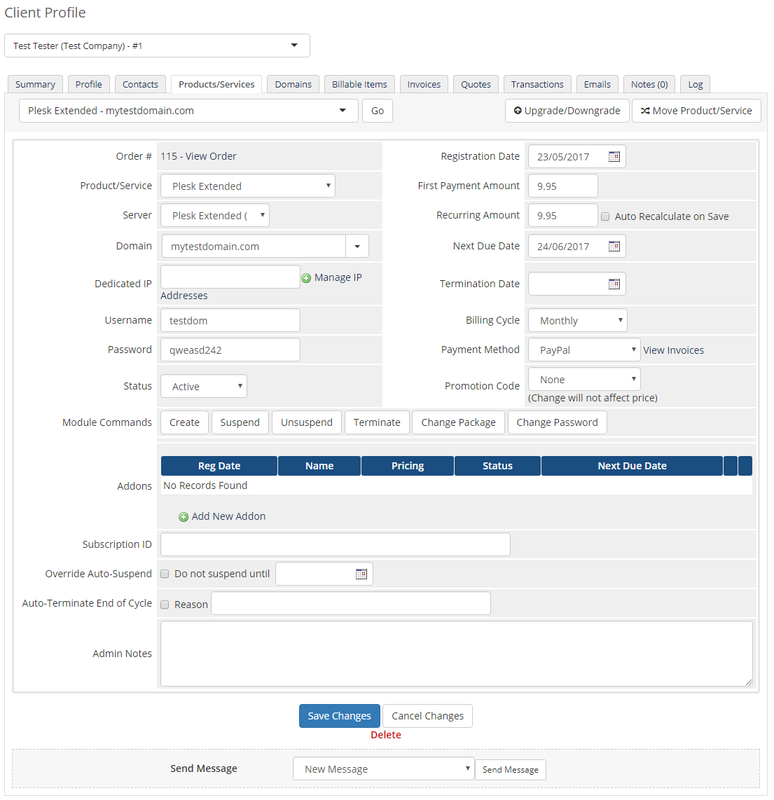 With a vast array of options at hand, you will dynamically adapt your offerings to ever-changing needs on the market and define which functionalities should be available in your client area. 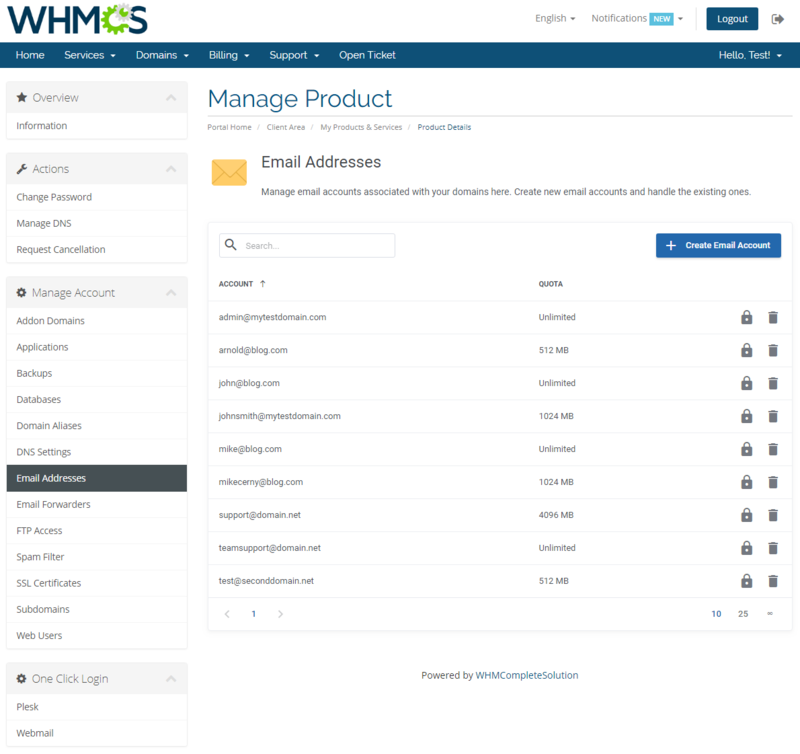 Help your customers feel the thrill of a simple and intuitive, yet supremely efficient management of their accounts. 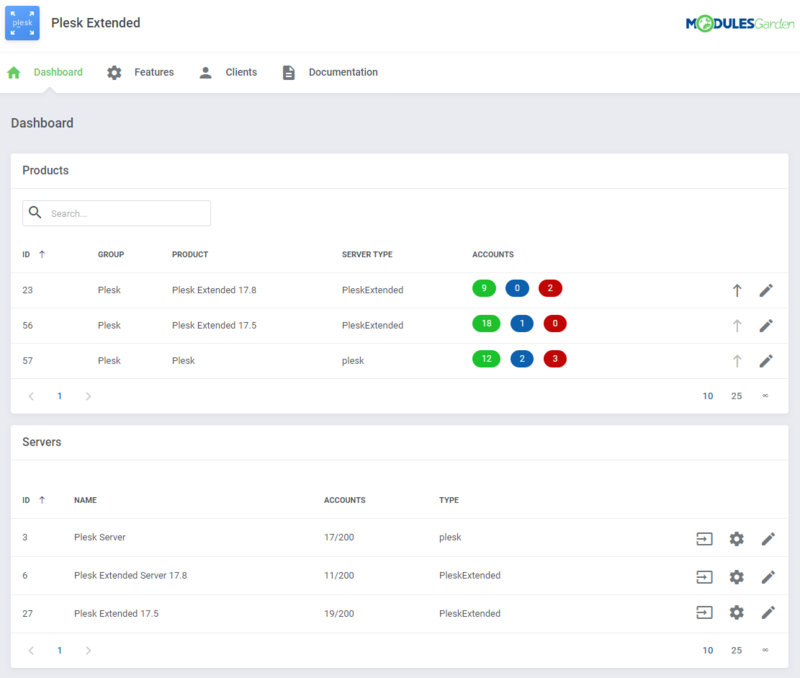 Order Plesk Extended For WHMCS and enter a completely new fashion of providing web hosting services. 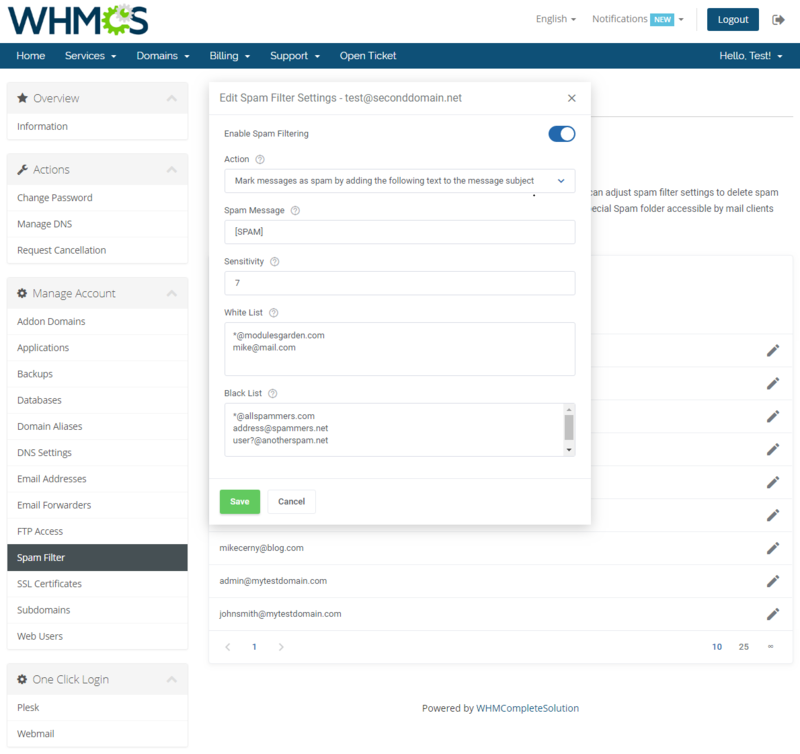 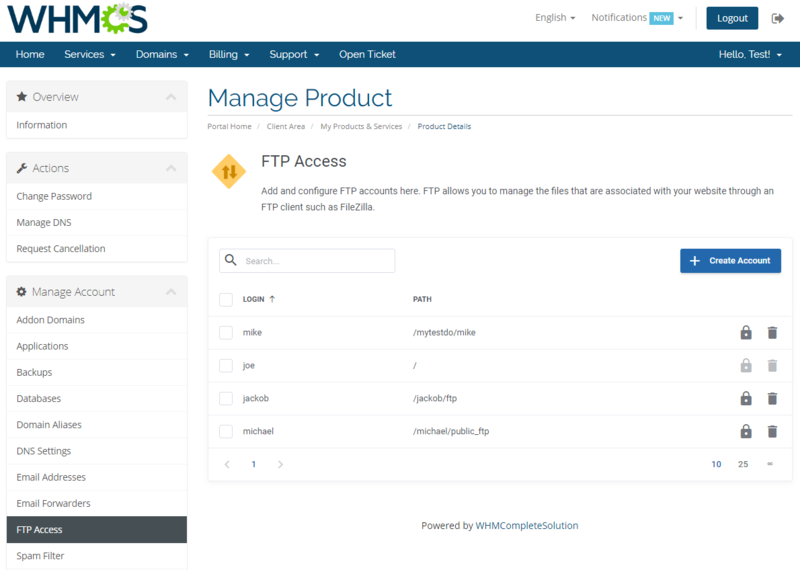 Employ the automated method of providing WebsitePanel accounts in WHMCS and give your clients the ability to remotely manage FTP accounts, websites, emails and files.